M69 Leicestershire southbound severe accident, from M1 J21 to J1 for A5 Hinckley. M69 Leicestershire - One lane closed and queues on M69 southbound from M1 J21, Leicester to J1, A5 (Hinckley), because of an accident. M1 Derbyshire both ways severe accident, at J30 for A616 Worksop. M1 Derbyshire - M1 exit slip road closed and queues at J30, A616 (Worksop), because of an accident. A52 Derbyshire eastbound severe accident, from A5111 Raynesway to M1 J25 Nottingham. A52 Derbyshire - One lane closed on A52 Brian Clough Way eastbound from the A5111 Raynesway junction to Nottingham, because of an accident. A614 Nottinghamshire both ways severe disruption, from A1 to Scrooby Road. A614 Nottinghamshire - A614 closed in both directions from the A1(M) Doncaster By Pass J34 (Blyth junction to the Scrooby Road junction, because of a police incident. M1 Leicestershire northbound severe accident, from J24 for A50 Nottingham South to J25 for A52 Brian Clough Way Nottingham. M1 Leicestershire - All traffic being temporarily held and an accident on M1 northbound from J24, A50 (Nottingham South) to J25, A52 (Nottingham). 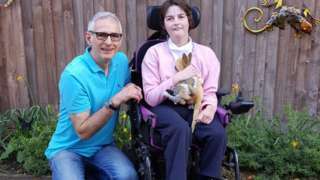 The family of a 16-year-old has challenged the new policy, saying the change is "morally wrong"
Police say people "put their life at risk" in an attempt to create "disruption". 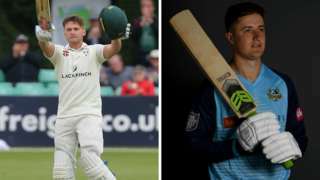 The ECB outlines a compensation payment scheme - to run from 2020 - to remunerate counties for the loss of players to bigger clubs. That's it for today's live updates. 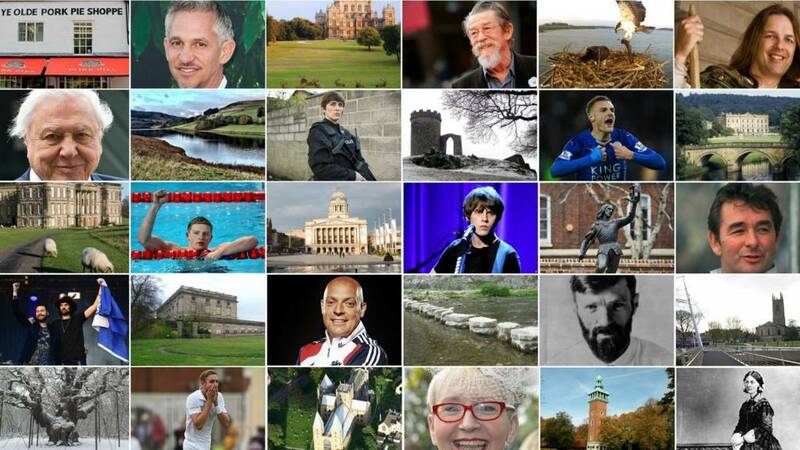 We'll be back with more news, sport, travel and weather from 08:00 on Wednesday. M1 Leicestershire southbound severe disruption, before J24 for A50 Nottingham South. M1 Leicestershire - Lane closed on M1 southbound before J24, A50 (Nottingham South), because of a broken down lorry. Traffic is coping well. A few lingering showers in to this evening and overnight. There will be areas of cloud but also some clear spells, allowing it to become rather cold. Vandals have defaced a World War Two memorial bench in Hinckley. Graffiti was added to the dove that forms part of the seat in the Memorial Gardens in Argents Mead earlier this week. The borough council said the writing had since been removed using a large amount of industrial cleaner and CCTV footage was being studied to try to identify the culprit. A married couple and a joiner have admitted making unauthorised changes to a 17th Century house in the Peak District. Chris and Sarah Gillott, of Hurds Hollow, Matlock and joiner Simon Mcloughlin, of Greenhill, Wirksworth, pleaded guilty to five counts of altering The Lodge, Main Street, Winster, in a way which affected its character at Chesterfield Magistrates' Court yesterday. Modifications made to the Grade II-listed building, formerly owned by the Gillotts, included the removal of features of "highly significant historic and architectural interest", the Peak District National Park Authority said. All three are due to be sentenced at Derby Crown Court on 24 April. The source of an infection that killed two children from the same family in the Charnwood area has not been found, officials have confirmed. The siblings, who have not been identified, died in October last year after E. coli led to kidney failure. Public Health England said: "Final results found it has not been possible to confirm or isolate a source of infection from the extensive tests that have been carried out." The organisation said the chances of a link to food or water were "very low". E. coli bacteria can cause infections that lead to a number of illnesses, ranging from cramps and diarrhoea to severe illnesses. In this case, it caused haemolytic-uraemic syndrome, leading to kidney failure. The main road between Melton and Oakham is shut in both directions because of an accident. Officers searching for a 40-year-old man from Lond Eaton say they are concerned for his safety. Rafal Kostkowski was last seen in the area at about 09.30 this morning. Derbyshire Constabulary said the last information they have is that Mr Kostkowski was in Heath, Derbyshire earlier today in his blue Mazda car. The owner of Boots has warned over UK store closures as it looks to slash costs amid the "most difficult" quarter in the group's history. US-based Walgreens Boots Alliance said it had started taking "decisive steps" to cut costs, including reviewing its near-2,500 retail stores. The details come as the firm reported a recent dip in sales with boss Stefano Pessina saying they had not acted quickly enough "to offset challenging conditions". He added: "We are going to be more aggressive in our response to these rapidly shifting trends....focusing on our operational strengths and addressing weaknesses." In February, the group announced 350 jobs are at risk at the Nottingham head office amid plans to restructure and trim staff costs by 20%. Stationary firm Office Outlet has announced it's closing 16 stores in the next few weeks - but none in the East Midlands. The former Staples chain fell into administration last month and Deloitte today revealed that store closures will begin on Sunday with the loss of 161 jobs. 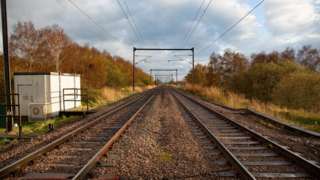 However, its outlets in Derby, Nottingham and Leicester do not feature on the closure list. The funeral of former Chesterfield, Mansfield and Notts County striker Kevin Randall is to take place later this month. The 73-year-old died on Thursday at the age of 73. No further details have been shared. Chesterfield FC said the service will start at Chesterfield and District Crematorium at 12:50 on Thursday, 17 April. Environmental campaigners wearing gas masks will be outside Leicester's Town Hall this evening calling for more efforts to improve the city's air quality. The World Health Organisation last year identified Leicester as among the worst for air pollution in the UK. Later today, Friends of the Earth will launch its air quality manifesto and ask the city council to take action. Leicester City Council said it has been awarded some government cash and has a plan in place to tackle the issue.